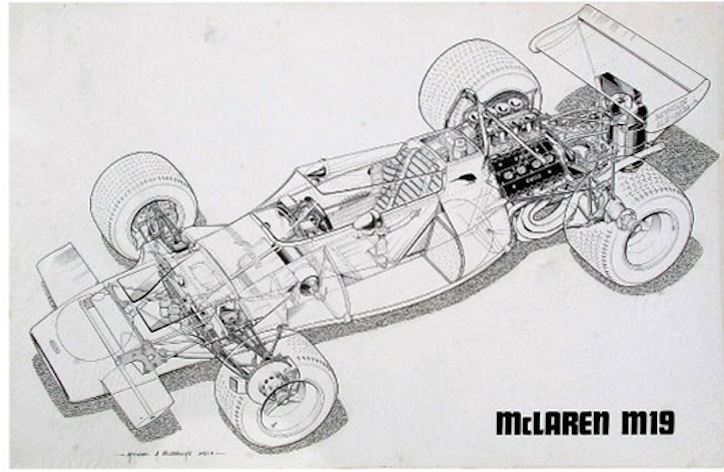 Much respected cutaway artist who has drawn all things mechanical including car work for The Autocar probably as freelance. Principally best known for his aircraft work but has illustrated books and worked for the publishers Osprey. Would appear to have been a staff artist with Flight International.